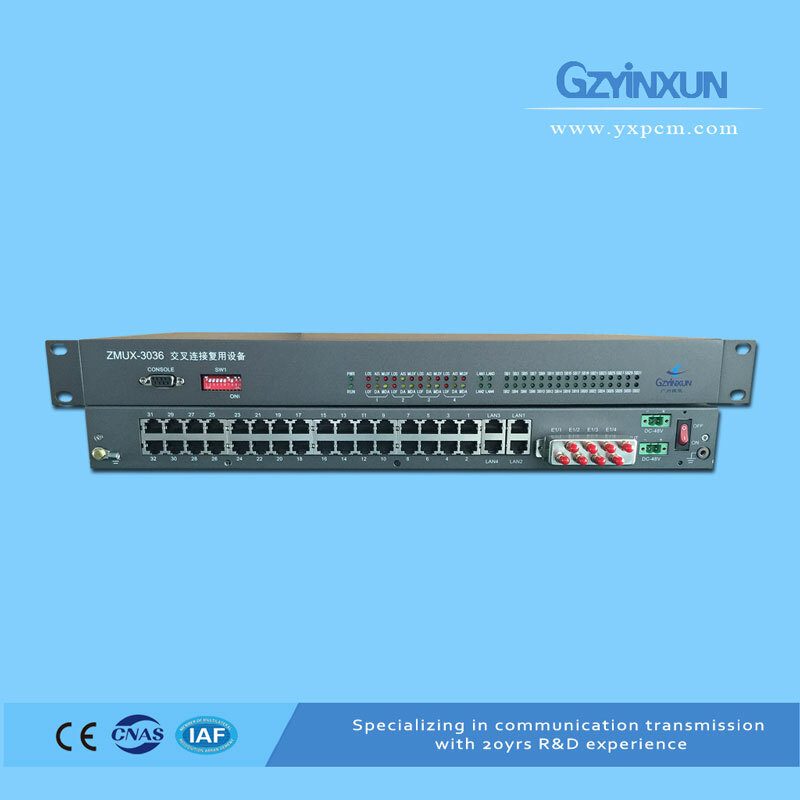 30 channels user interface, designed as modular.It can be inserted according to the actual application (Compatible: voice calls, 4W audio, RS232,1 channel 10Base-T Ethernet interface (10M bandwidth). 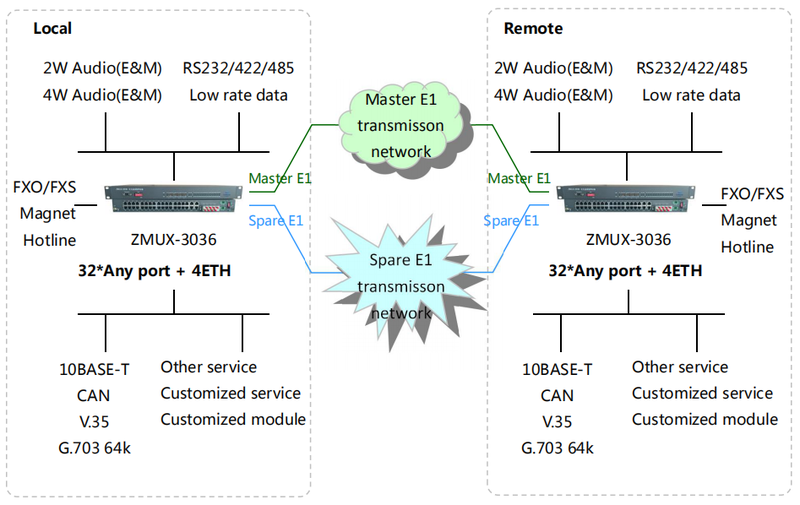 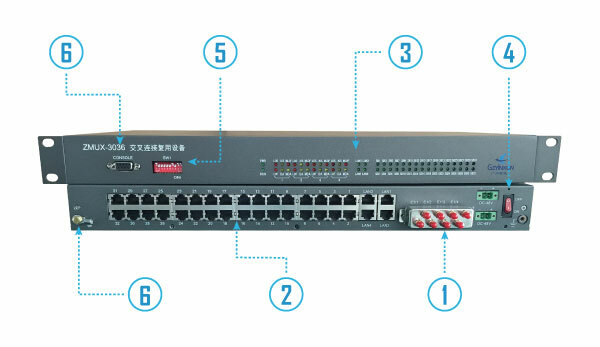 ⑥ Network management The local network management interface, RS485 or RS232 optional. 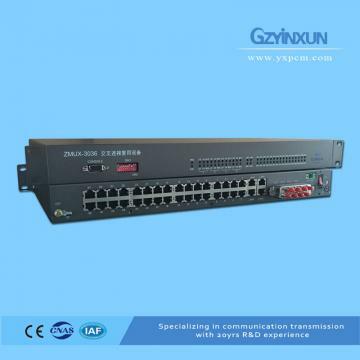 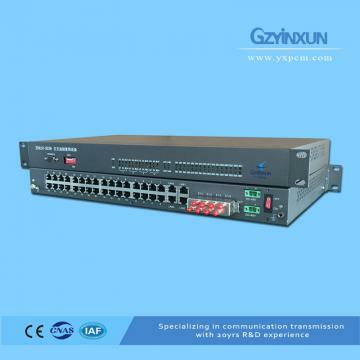 * support centralized monitoring system,optional network management function, monitor network configuration information,E1 link status, E1 protection status, user interface status, etc. 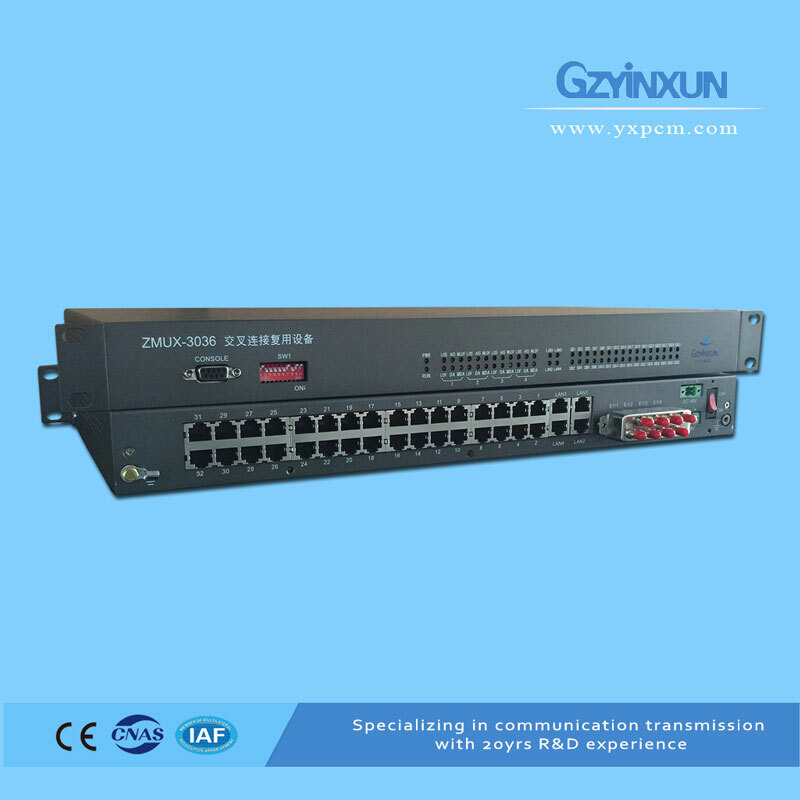 ZMUX-3036 is self-R&D producted by Yinxun, and we have exported a lot to overseas. 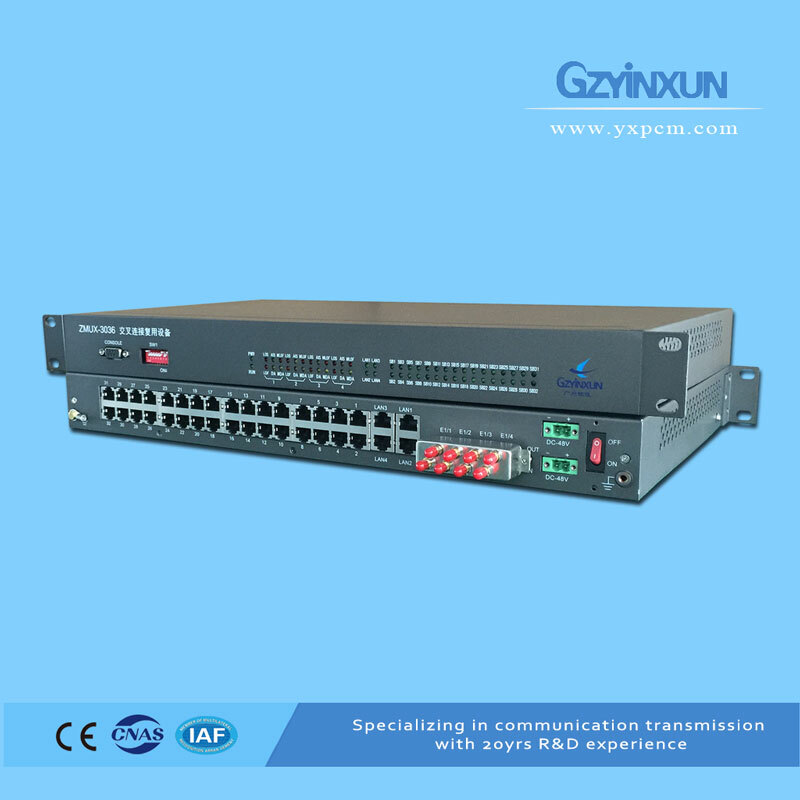 It is very stable and reliable, international standard. We support ODM, OEM, technical cooperation.